Wall lights can be placed to the side of your bed to perfectly illuminate your ideal reading window. This Frama 90 Degree Wall Light even doubles up as a small shelf where you can rest a book or place a glass of water. This Aberdeen Wall Lamp by it’s about RoMi from Limelace has an adjustable shade to accurately direct the light and it concertinas out and can be pushed back into the wall when not in use, so as not to encroach too much on your limited space. Now pendant lights, suspended from the ceiling, may need to be installed by an electrician, but for the wow factor it is worth it. 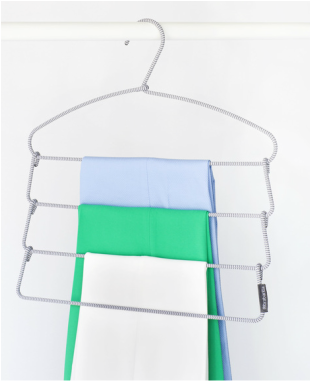 Floating gently at your bed's side they will help to make your sleeping area the focal point of the room. Well, it's more of a bed in a footstool or ottoman, but it's still a small place for a single bed to fold away into. If you live in a studio apartment, this will allow you to keep your sleeping area tucked away in a corner. Or, if you're short on space and need a guest bed, this is a great solution. When in bed form, the lid serves as a comfy head board. 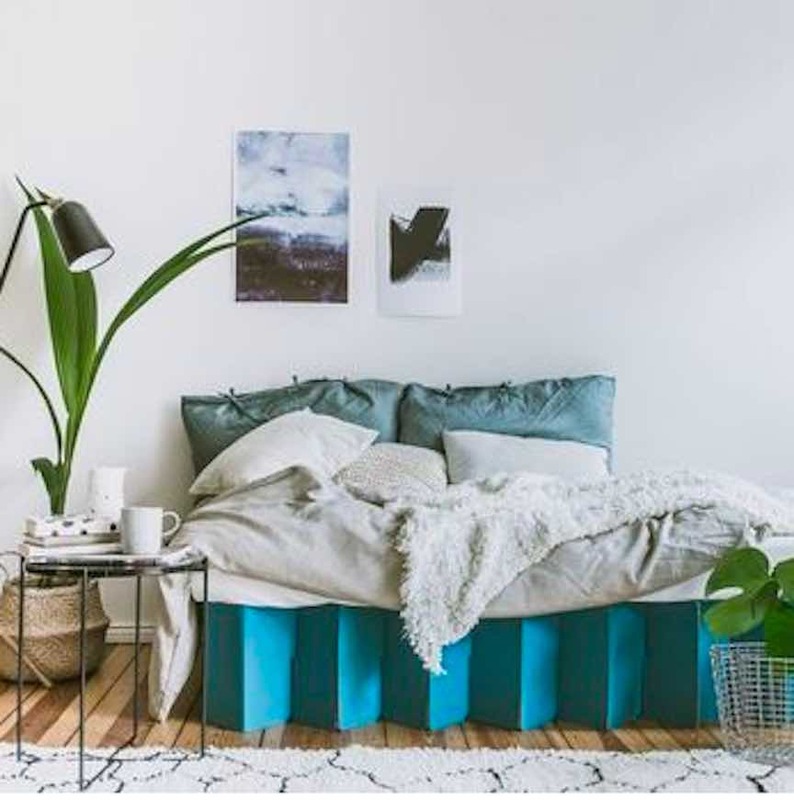 If you like the idea of an environmentally friendly, 100% recyclable bed that you can customise yourself, take a look at the cardboard bed from German-based room in a box, available from Happy Beds. It has a concertina design that promises to ensure that it can be built in minutes with no screws, nuts or tools and it can be packed neatly away when not required. It's available in plain cardboard, white, black or blue. I'd go for plain and customise it with decoupage. If you need to maximise your storage in your bedroom, then you can't ignore that huge void under the bed . 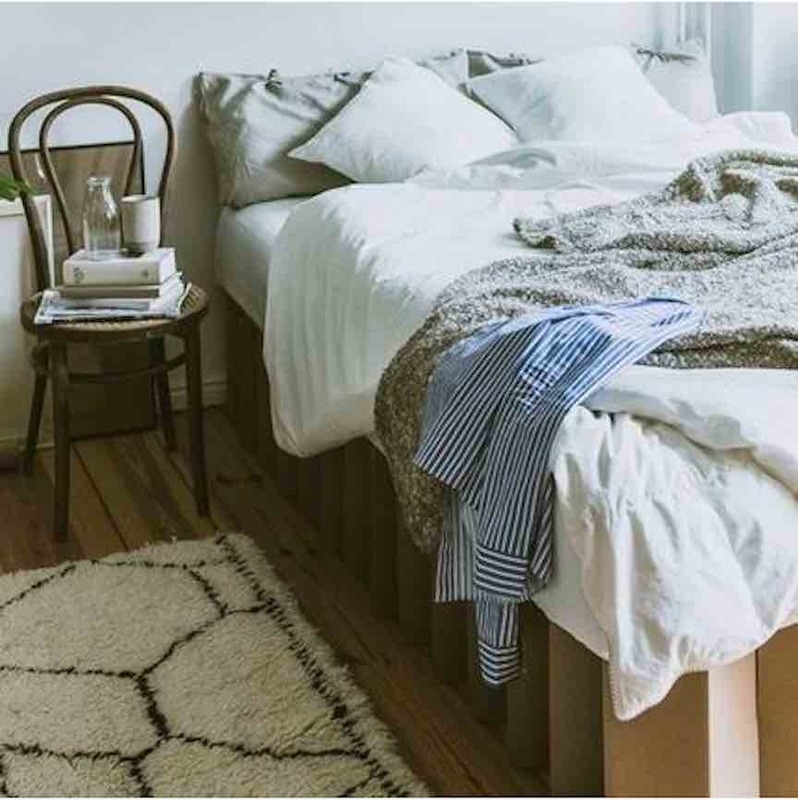 Yes, your room might look bigger if you could see beneath the bed (see why here), but if it's a choice between the two go for tidy over space enhancement every time. If you need to use the space under the bed for clothes or linen, opt for a bed with tough and roomy pullout drawers. Strength is key here, you don't want the bottom falling out of the drawer once it's filled with shoes or handbags. Oh and never put clothes away under the bed slightly damp, with little air under there they will start to grow mouldy. Remember also to check that you have space around your bed to actually pull out the drawers so that you can access their contents. If this could be a problem look at a bed with open shelving beneath it. This contemporary four-poster bed has shelving beneath and behind it. 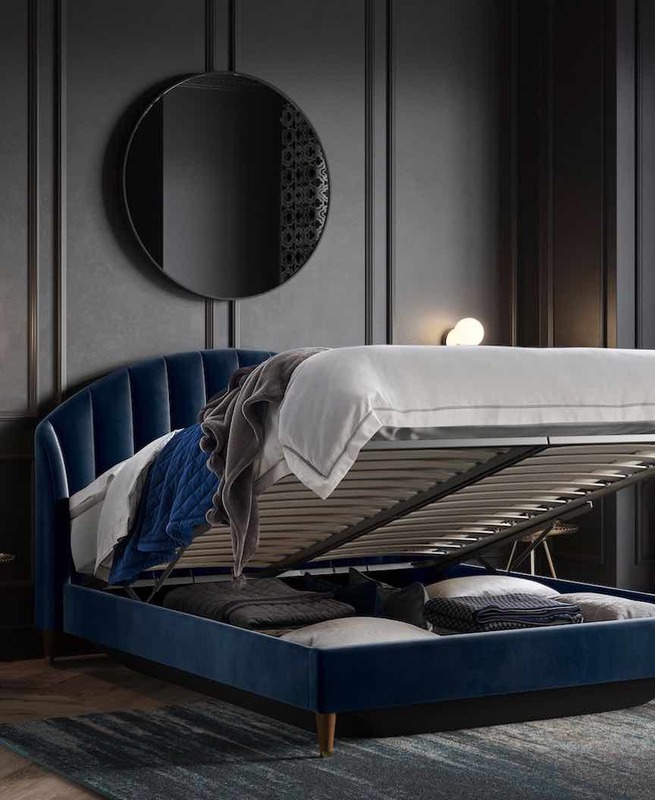 Whilst, if you need to store tonnes of stuff that you don't need to access everyday, such as winter duvets, suitcases, a tent, spare folding chairs for when guests come etc., an ottoman storage bed could be for you. Here the whole mattress lifts up to reveal the deep cavity within. A bit of a pain if you need regular access to the stuff inside, however. If you need to have your entire wardrobe on display, you need a more substantial clothes rail. These don't have to look like something out of a nightclub cloak room. Look for a sleek neat frame, like this one, with a sculptural quality. If you don't just want hanging space, however, opt for a clothes rail that includes drawers for smalls or accessories and shelves for folded clothes. This Maria dresser would sit well in a bedroom or entrance way. All of these pieces will only work if you're naturally tidy. Keep like colours together and separate long and short clothes, so that it all works together visually. If you've just arrived at Uni and find your accommodation a little cramped and depressing, don't despair. With just a few minor inexpensive adjustments, you will have it feeling like home in no time. Begin with the bed. Dress it in your own individual style. Decorate the bed with plump cushions so that during the day it can almost double up as a sofa and drape a cosy throw at the end too. Decorate those bare walls with posters, your very own artwork or wall stickers. Just make sure that anything that you put up will not leave a mark behind once it's removed at the end of your tenancy. That bright ceiling light is great for studying, but when you want to prepare for a big night out or chill at home with your friends you want to take the luminosity in the room down a notch or too. Opt for a couple of funky side lights or perhaps a contemporary take on traditional fairy twinkles. 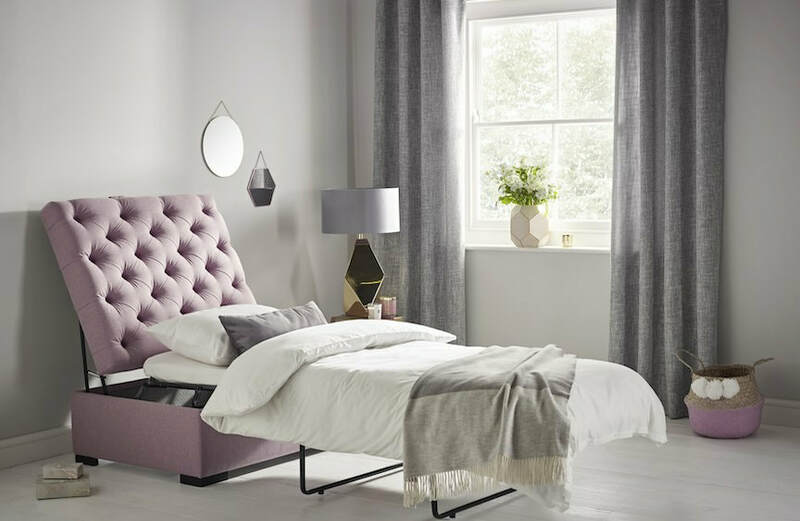 An ottoman at the end of your bed will help to give your boudoir the air of a boutique hotel room. It will also provide an extra seating area and, probably most of interest to you, an additional rather useful storage cavity. 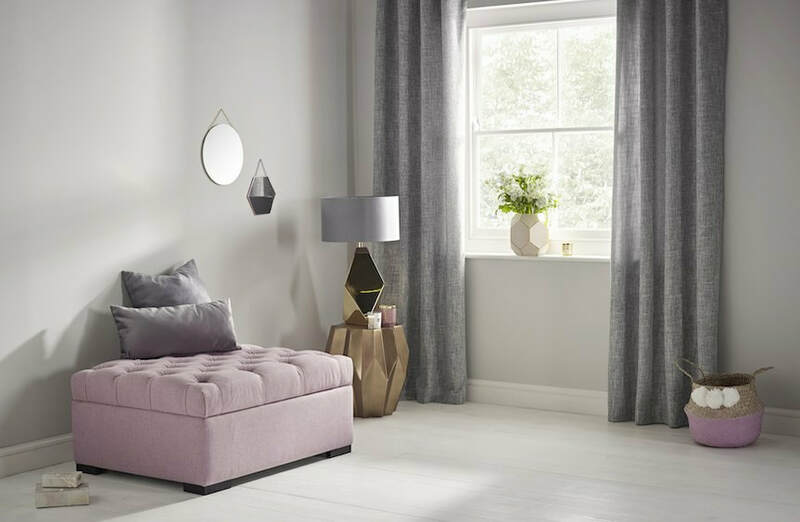 As an ottoman will often open up to expose a deep and wide storage space it is the perfect place to keep bedlinen, towels or handbags. You can find them in a rainbow of colours. 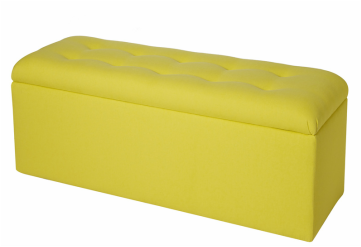 The brighter styles are particularly well suited to children's bedrooms, where they double up as fantastic toy boxes. If you want something a little less formal looking, opt for an ottoman with open storage, under which you could perhaps stack books, line up shoes or keep baskets of scarves, belts and hair accessories. As you can see through these pieces of furniture into the room beyond they have the added advantage of making your room feel larger too. Room dividers are back in fashion. But they've always held their own allure. An air of mystery over what lies behind them, a whiff of 1950s glamour. They are not only a pretty folding picture, however, especially if where you live is a tight sqeeze. They can help to distinguish between the sleeping and living area in a studio flat, for example. Create the illusion of an entrance hallway in a home where the front door takes you straight into the lounge. And give you somewhere behind which you can hide all that mess that you can't seem to get on top of. And combine a screen with a clothes rail, hey presto you have a walk-in wardrobe. Drape this linen studded screen with a feather boa for a real Hollywood feel. They also come in useful in children's bedrooms where two siblings are sharing. With this coastal scene you can put a whole sea between brother and sister. Read on here to learn more about to design a room for two or more children.